Choices for Youth provides community housing and lifestyle development supports for youth in St. John’s NL. Choices For Youth identified a local need when they were designing their Train for Trades program. 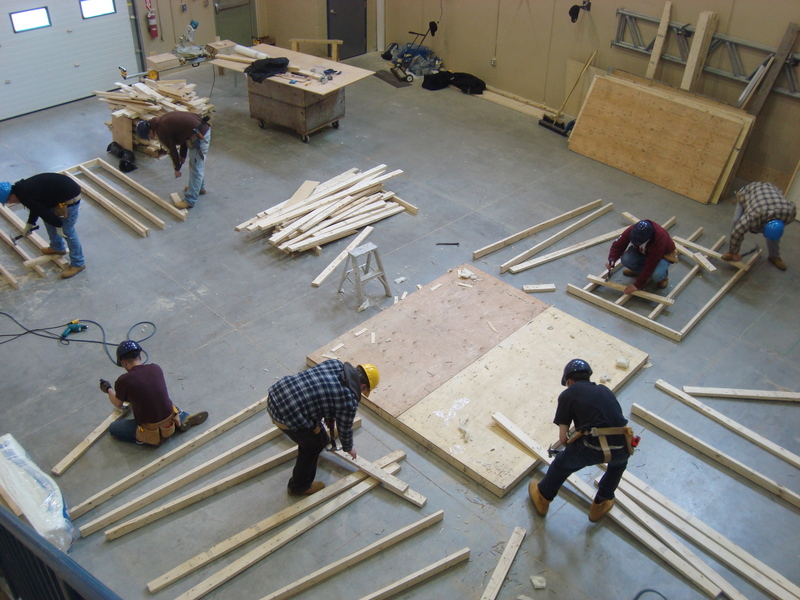 Through a social enterprise model, Train for Trades has become one of the primary contractors for The Newfoundland and Labrador Housing Corporation in providing energy retrofits to social housing units in St. John’s. These energy retrofits help offset the energy costs of low income families while providing much needed training to unemployed youth with complex service needs. To date, Train for Trades have renovated over 160 units of social housing and trained 29 young people for careers in the trades. Of the 29 youth who completed Train for Trades, 79% are either employed or pursuing education related to the trades. Specifically, 26% are currently working in trades-related fields (e.g., abatement, flooring), 21% are pursuing post-secondary education, 10% graduated from a trades-related post-secondary program and are pursuing trades-related work, and 16% are working in an unrelated field. Higher level of education through access to on-site GED program and opportunities to pursue post-secondary education, training and apprenticeship programs and learning. Train for Trades can be replicated in any other city/town, either the full program or a smaller version can be incorporated into an existing program. The foundation of the program is the Intensive Support model (ISM). By using the ISM, Choices for Youth work with youth in helping them navigate their way to personal stability and success, while providing guidance, training, work experience and education in a supportive environment.